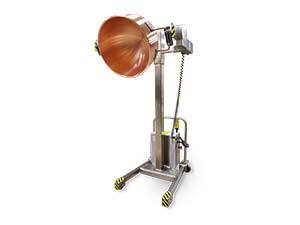 Candy Making Equipment | Candy Baking Equipment | Bowl Lifts by Savage Bros.
For over 160 years, Savage Bros. has continuously manufactured confectionery machinery. 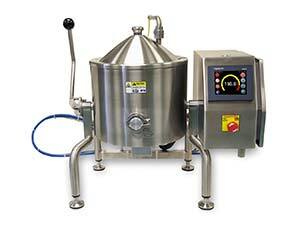 Our candy making and chocolate making equipment are recognized worldwide for long lived quality and reliability. 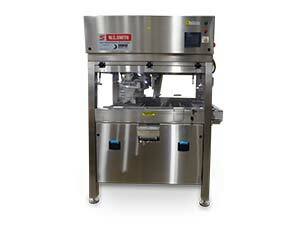 This unique ALL ELECTRIC Cooker Mixer produces fudge, caramel, toffee, brittle, hard candy - virtually ANY confection. 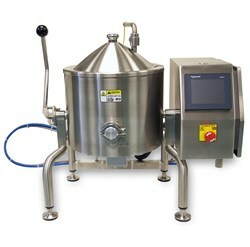 Simple to operate with PLC Touch-Screen control. One-person processing from start to finish. Optimum batch size is 20 Lb/10 Kg, depending on recipe. 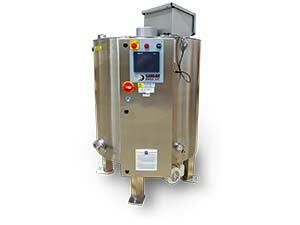 Ideal for Artisan Confectioners and R&D Labs. 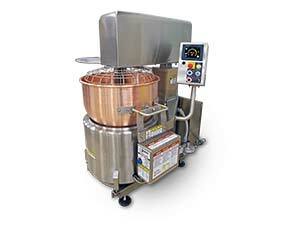 From these 19th century roots in the candy industry, Savage equipment has applications today for the bakery, food processing, cosmetic, pharmaceutical and material handling industries. Savage Bros. strives to meet its customers’ equipment needs with well designed and manufactured machinery. Need Help With Your Candy-making? Fill out the fields below and we'll get in touch with you to help you with your project!